ShoreMaster is excited to announce a welcomed addition to any outdoor space – our new dock-mounted fire table. Homecrest Fire Tables are available in a Hickory or White finish, the Dock Fire Table is the perfect complement to any of the ShoreMaster Dock Furniture. Featuring top-quality, American-made these fire tables are designed to withstand the elements season after season. 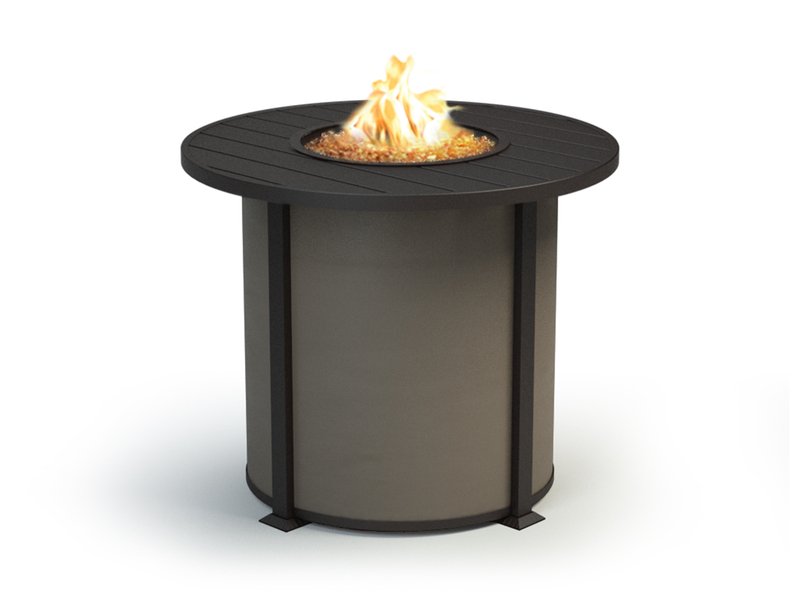 Each fire table comes standard with a 20" round 60,000 BTU stainless steel black powder-coated burner, external key valve, match-throw ignition, natural gas orifice, 20 lbs of fire jewelry and a black 3/4" fire burner riser.